Wanna meet @greysonchance? 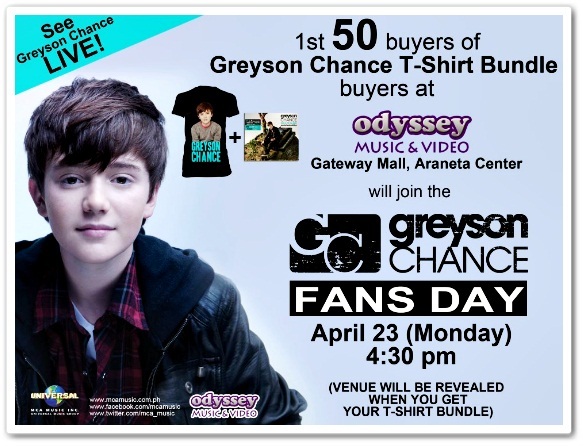 Simply buy Greyson Chance T-Shirt bundle at Odyssey Gateway and get a chance to be part of his Fans Day later at 4PM! So what are you waiting for? Hurry before you miss your chance! This is not a paid post, I wrote this for Sophia who loves Greyson Chance so much! Sophia I hope you will be able to see this!